Most New Jersey drivers are used to seeing trucks of all sizes on highways and local roads. Unfortunately, sharing the road with trucks is something that never quite feels comfortable to many — the sheer size of 18-wheelers, tractors trailers and construction vehicles can be overwhelming and even frightening. 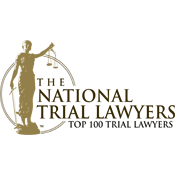 So when an accident occurs due to the negligence of the truck driver, especially if the driver was operating the huge vehicle while intoxicated, injuries to motorists and their passengers are usually catastrophic and often fatal. If you or a loved one has suffered injuries — or worse — in a DUI truck accident, we can help get you the financial damages you need. At The Law Offices of Andres & Berger, P.C., our personal injury attorneys know what it takes to obtain substantial settlement offers in DUI truck accident cases. We never back down to insurance companies, so they don’t usually bother to pitch us low-ball offers. They know we will take the case to court to work for an appropriate settlement and you can feel confident that we will go the distance for your family. Contact our Haddonfield NJ office today for a free consultation about your accident and injuries. There are specific laws that trucking companies, and their employees, must adhere to, and failure to do so can result in serious truck accidents. At the top of the list, of course, is that truck drivers themselves must never get behind the wheel of a big rig under the influence of drugs or alcohol. DUI is illegal in every state of this country and the penalties for driving while intoxicated are extremely harsh. Moreover, truck crashes involving alcohol are statistically likely to cause serious injuries, and wrongful death, to other motorists. At The Law Offices of Andres & Berger, P.C., we work closely with a variety of investigators who will assist us in proving fault in your accident. We will hold all appropriate parties responsible, including the driver, the trucking company and even the bar or restaurant that served the drunk truck driver and allowed them to leave the establishment and get behind the wheel of the truck. 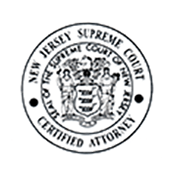 Our reputation as skilled, tenacious personal injury lawyers precedes us in the Camden County area and across New Jersey. 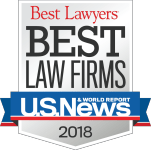 We’ve won millions of dollars on behalf of injured clients, so you can rely on our legal team to put our many years of experience to work for your family. When you or a loved one is injured in a truck accident, the resulting injuries are often life-altering. However, when you find out that the accident was actually caused because of truck driver negligence, you have every right to be angry and look for justice. At The Law Offices of Andres & Berger, P.C., we will work hard to make sure you get the financial damages and justice you deserve. We take all cases on contingency. If we don’t collect damages for you, you won’t pay any legal fees. Contact our office today for a free consultation about your DUI truck accident. 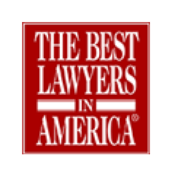 Named to The Best Lawyers in America© by Woodward/White Inc.
Berger named Top Ten Super Lawyers© in New Jersey and published in New Jersey Monthly. 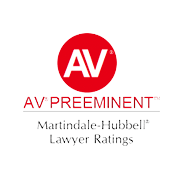 Awarded an "AV" Peer Rating by Martindale-Hubbell© - The Highest Possible Rating. Named among the Top 100 lawyers in New Jersey Super Lawyers© as published in New Jersey Monthly. Andres & Berger, P.C. 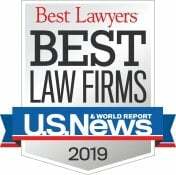 listed as a Best Law Firm by US & World Report©. 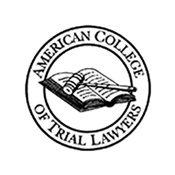 Andres selected as one of The National Trial Lawyers© Top 100 Trial Lawyers, an invitation-only national organization composed of America's Top Trial Lawyers. Andres chosen as Nation’s Top One Percent by the National Association of Distinguished Counsel. Listed as Top Attorneys by SJ Magazine©. Recognized as Awesome Attorneys by South Jersey Magazine©. Listed among the Top 100 lawyers in New Jersey Super Lawyers© in New Jersey Monthly. Recognized as the Top Medical Malpractice and Civil Trial Lawyers by SJ Magazine©.